In this updated blog post, I’ll present to you some watercress nutrition facts (including the smaller garden cress) that will probably blow you away. And if you think that you can’t get watercress in your region, rest assured that other cresses like garden cress do their job too. You can easily grow especially garden cress in your kitchen or get it in the grocery aisle of your supermarket. I’ve even added 5 ways how you can use watercress and easy garden cress spread recipe for you at the end of this blog post. As many people have never used it before, you can imagine that watercress is an underdog among the family of vegetables. Surprisingly, just like cabbage, broccoli, and cauliflower, it belongs to the cruciferous veggies! In fact, it is one of the oldest known leaf vegetables consumed by humans (1). It has been cultivated in Central Asia, Europe and the Americas for millennia as food and as a medicine. Tip: If you are someone who loves to follow Dr. Michael Greger’s “Daily Dozen”, then regular watercress nutrition (or even the tinier garden cress) will enormously simplify your goal of daily cruciferous vegetable consumption. The leaves of the fresh herb have a pungent, slightly bitter taste – very similar to that of mustard due to its high content of mustard oil glycosides. After flowering, the leaves become sharper and less juicy and thus harder. Therefore I recommend picking only young sprouts at this time. Drum roll, please – watercress upholds the No. 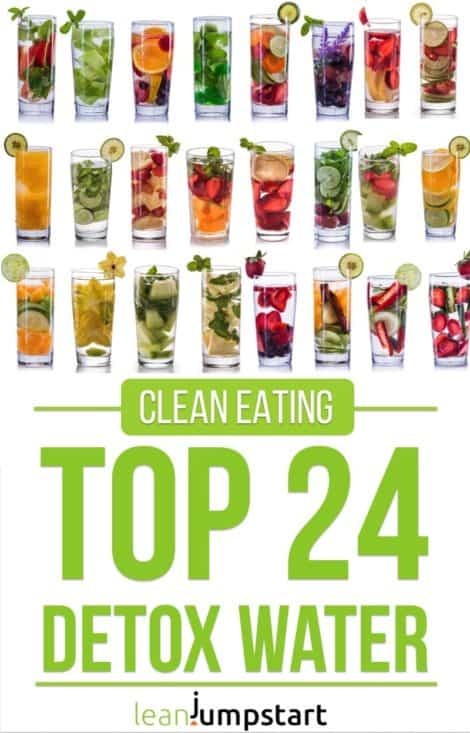 1 spot by researchers (2) as the most nutrient-dense among fruits and vegetables. It earns a nutrient density score of 100 as compared to Chinese cabbage (91.99) and chard (89.27). Wow, who would have thought? So what is watercress good for? Gives energy: Are you feeling tired in springtime? 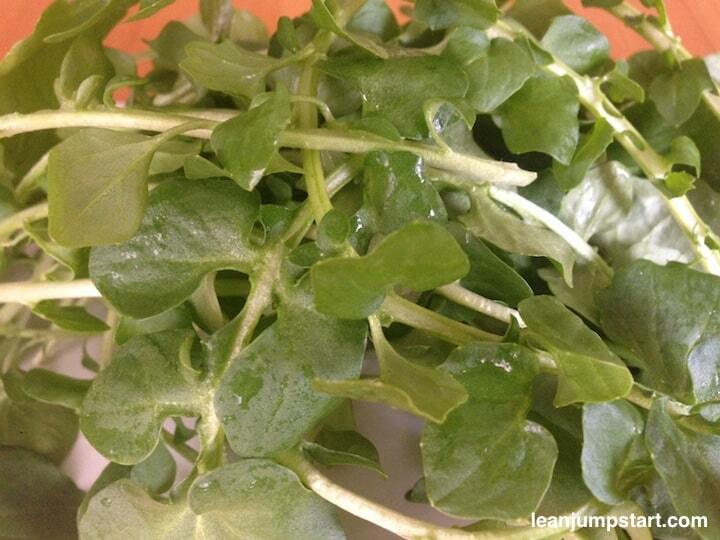 The nutrients in watercress, especially the intake of vitamins will revive you! The good mixture of vitamins such as beta carotene, vitamin A, folate (vitamin B9) as well as vitamin C, calcium, iron, and trace elements (e.g. iodine) provides you with new energy. Expel viruses: The spicy taste of watercress comes from mustard oils it contains. These oils act as natural antibiotics and kill not only bacteria but also viruses and fungi. As mentioned, the herb is also a good source of vitamin C (more than an orange! ), defending your body successfully against pathogens causing colds! Maintains bone and artery health: Its high levels of vitamin K content are not only essential for healthy bones but prevents excess calcium from depositing on artery walls. In addition, the plant substances in cress expand blood vessels. This allows blood to flowing more easily. As a result, it also prevents calcifications, which in turn reduces the risk of cardiovascular diseases like stroke or heart disease. Boosts the metabolism: The herb supplies our body with important trace elements. This is what the thyroid gland needs as building blocks for the formation of the metabolic hormone thyroxin. Not only does this control the energy supply in the body, but it also supports bone formation and brain development. Lowers blood sugar: With a teaspoonful of cress per day the blood sugar drops. The contained chromium improves the absorption of sugar in the cells and thus prevents chronic diseases like diabetes. The trace element also regulates cholesterol levels. Stops cravings: The higher intake of chromium results also in a fast, long-lasting feeling of satiety and prevents excessive hunger feelings (3). That’s especially convenient if you want to lose weight! Strengthens the bladder and kidneys: The mustard oils in the leaves have also a disinfecting and diuretic effect. This prevents pathogens from clogging in the bladder and urinary tract. It also improves kidney function. The leafy vegetable is rich in the secondary plant substances lutein and zeaxanthin, which can protect against glaucoma and macular degeneration, the age-related loss of visual acuity. Under the name “cress” you can find three different cress varieties, which differ in taste, color, and size. It is sometimes also called pepperweed: A fragile plant that sprouts quickly and is suitable for growing in cotton wool. At grocery stores, supermarkets and even discounters you can buy small beds of garden cress. Watercress, as described above, belongs to the aquatic plants and is larger than garden cress. This variety is rather unsuitable for growing on the window sill. But you can still grow it on your balcony, more about this in a minute. I got watercress for the first time this year in my vegetable subscription box only last week. Due to its decorative flowers and leaves, this plant is predestinated for decorative uses in food. There exist even more cress types, but these are the most important ones. Only recently I’ve stumbled at Aldi over sprouted arugula seeds called “arugula cress”. When comparing the nutritional data of watercress versus garden cress in the chart below, you can see that garden cress can easily compete with the powerful watercress. In some nutrients, it even beats the larger leafy vegetable making it a worthy replacement, if you can’t purchase watercress in your region. In my region it is seldom available, rarely it is part of my vegetable subscription box. On the other hand, I can easily get garden cress even at Aldi. Luckily it is also a nutrient-dense herb. One of the best culinary qualities is its versatility. 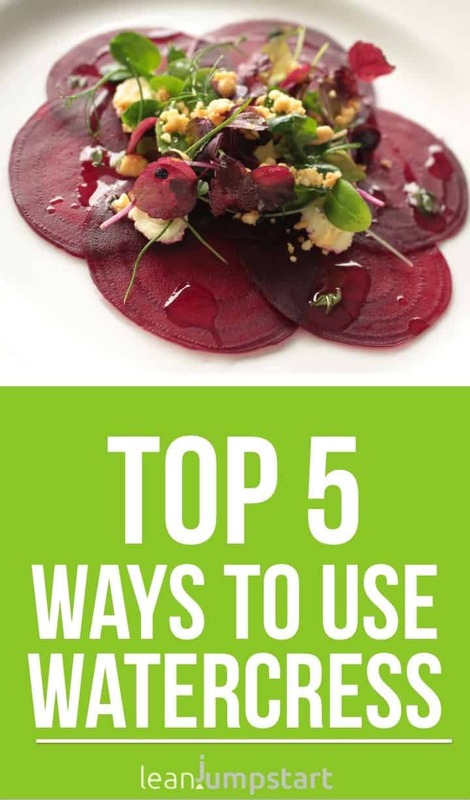 In the following, I’ll show you 5 ways how to prepare watercress. You can eat it as a very nutritious salad green with Romaine lettuce, arugula or fresh spinach. Watercress can be used as a spice in the kitchen. Fresh on a sandwich, in flatbread or just as a garnish on salads or on appetizers, it gives dishes a refreshing aromatic taste. In contrast to the smaller garden cress, watercress can be steamed or sauteed like spinach and eaten as a vegetable. To retain a maximum of flavor and nutritional value, don’t cook it for more than two or three minutes. For the simple dish below I’ve just steamed some onions and garlic in a bit of olive oil for 3 minutes, added sugar snap peas and sauteed for a few minutes, at last, I added some watercress and let it simmer for 2 minutes. I’ve seasoned it with some Tamari sauce and pepper. 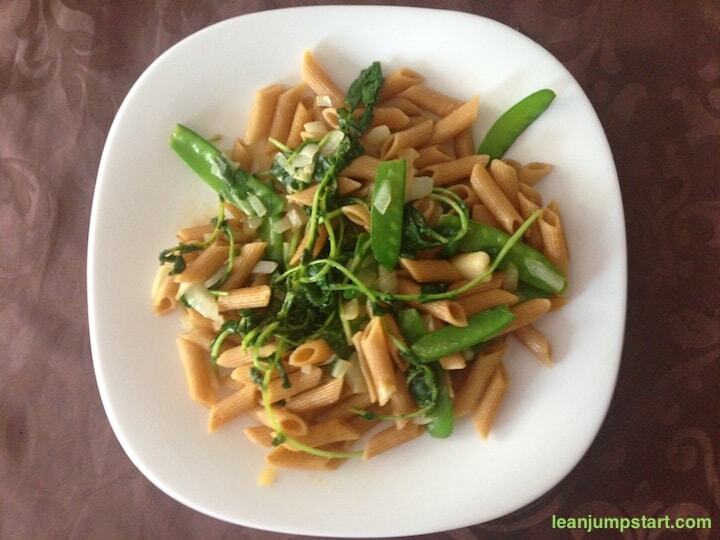 Combined with cooked whole grain noodles I created a nutrient-dense clean eating dish in a breeze. You can increase your watercress consumption easily by adding the herb to smoothies, plant-based spreads, or pesto. This leafy vegetable gives soups or sauces a subtle, peppery flavor when added as spice at the end of the cooking process. Sprinkle chopped watercress over marinara sauce, to add vital nutrients and enhance the flavor. How to use garden cress? Garden cress is less spicy than watercress and can be used in a similar way with the little exception that you shouldn’t cook it. In many recipes, cress provides the decisive spicy freshness kick. Whether potato salad, soups, sauces, spreads or pasta – with cress everything tastes even better. A typical way garden cress is used here in Germany is as topping on mixed salads. If you order a large salad plate or potato salad in a German restaurant, very often the salad is garnished with some garden cress sprouts. That’s something you can easily replicate at home. 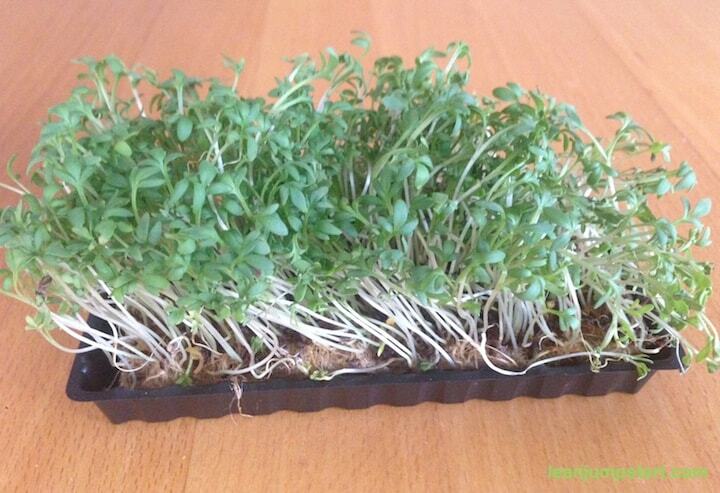 Special tip for garden cress: To reap the most nutrients you should consume it immediately after harvesting. Within half an hour, the small garden cress loses its vital substances. Here comes a very simple garden cress recipe for you. You only need a few ingredients. As we use garden cress it’s important to consume the spread immediately to maximize its health benefits. Just check my recipe below! Put sunflower seeds, lemon juice, and water into food processor. Then cut off the cress bed and mix again for 1-2 minutes. 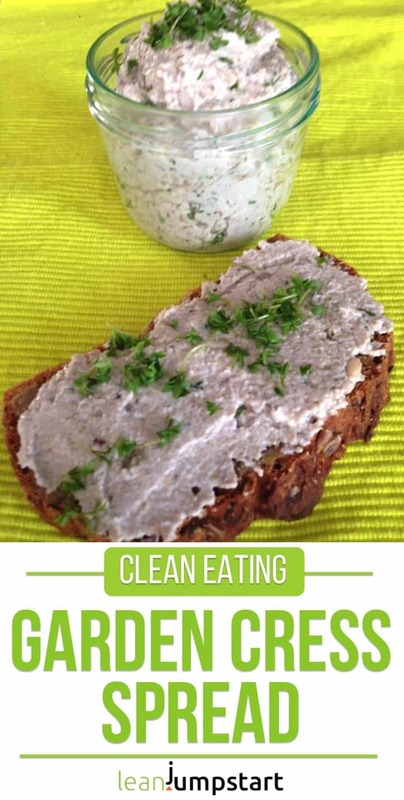 Use it as a spread on whole grain bread. Tip: Garden cress spread should be used up immediately! I never tried to replace garden cress with watercress in this spread recipe. That way the sandwich spread could last a bit longer in your fridge. In case you try it please let me know how it works and how much watercress you’ve used. There is no excuse that you can’t cater to a sufficient consumption of watercress. You can easily grow it in waterproof pots on the balcony or in the ground if you have a sunny spot. Put compost on the bottom of the pot, sow the seeds, fill with water and make sure that the tips of the growing sprouts are always sticking out of the water. They can be harvested from a length of about 8 cm. Especially garden cress can be drawn extraordinarily inexpensive and without much effort on your windowsill. Garden cress has a major advantage over other plants: In the first two to three weeks, the plant doesn’t need an organic substrate. In the first few days of life, the cruciferous plant extracts the nutrients it needs for growing from the seed depot. Water and light are the only two factors that garden cress seeds need to germinate. This plant has probably the shortest growth time of all herbs. The plants sprout so quickly that they are suitable for consumption within a week. Garden cress grows on soft materials like kitchen crepe or commercially available cotton wool, which provide sufficient support for the fine roots of the plants. 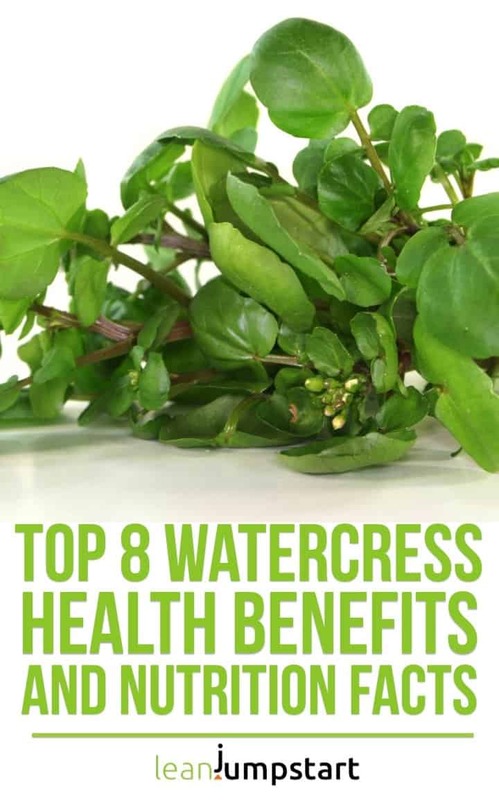 Wow, I had no idea watercress had so many nutritional benefits! Great to know! This is true, Kim – We never learn out! It’s amazing how powerful this leafy vegetable really is. Time to include it more often at least in our salad. I have always been a believer in the health benefits of watercress. I was shocked to find that a lot of people didn’t realize they sell it right in a normal grocery store! I’m glad that my ideas could inspire you to eat these nutrient-rich greens more often. Thank you Danielle, yes I’m also excited since I’ve researched this topic. Only today I’ve received again a whole bunch of watercress in my organic vegetable subscription box. While I’m nowadays thrilled, I still remember the time when I almost ignored them because I didn’t know how healthy they are and how to best use them. I didn’t know nasturtiums were the same family as water and garden cress! I’ve eaten the flowers. Are the leaves edible too? Love the sound of your garden cress and sunflower seed spread! Yes, nasturtiums, water and garden cress all belong to the family Brassicaceae (cabbage family). 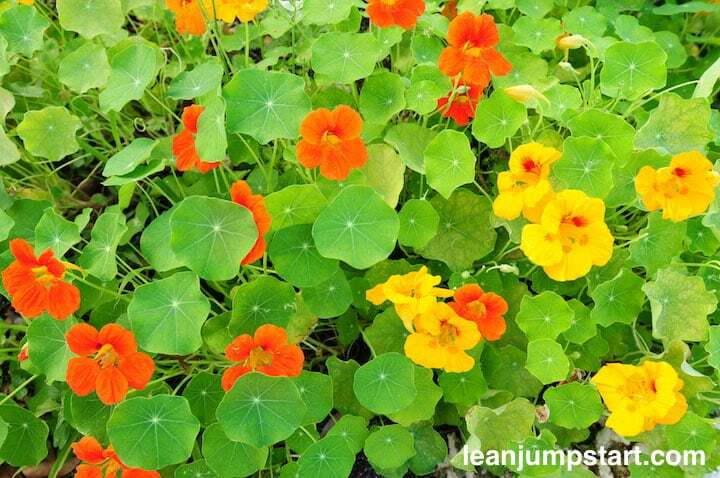 Besides of its flowers also the young, tender leaves of nasturtiums are edible as well.